Your uploaded file is now in your current history. When the file has uploaded to Galaxy, it will turn green. After this you will see your first history item in Galaxy’s right panel. It will go through the gray (preparing/queued) and yellow (running) states to become green (success). The contents of the file will be displayed in the central Galaxy panel. The tool will be displayed in the central Galaxy panel. 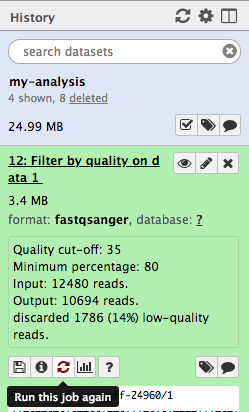 Note that Galaxy has given this file a name according to both the tool name (“FastQC”) and the dataset (“data 1”) that it used. 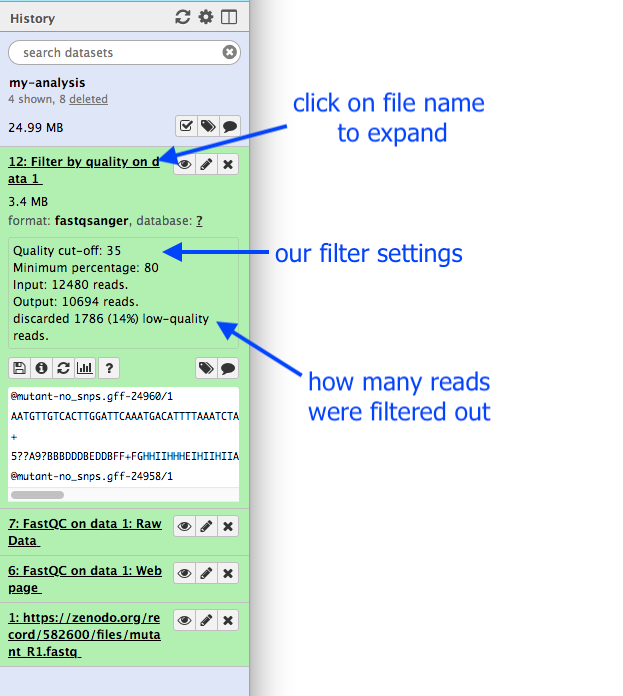 The name “data 1” means the dataset number 1 in Galaxy’s current history (our FASTQ file). Click on the galaxy-eye (eye) icon next to the output file. This file will be called “Filter by quality on data 1”. This expands the information about the file. We have now decided that our input reads have to be filtered to an even higher standard. We will change the filter settings and re-run the tool. 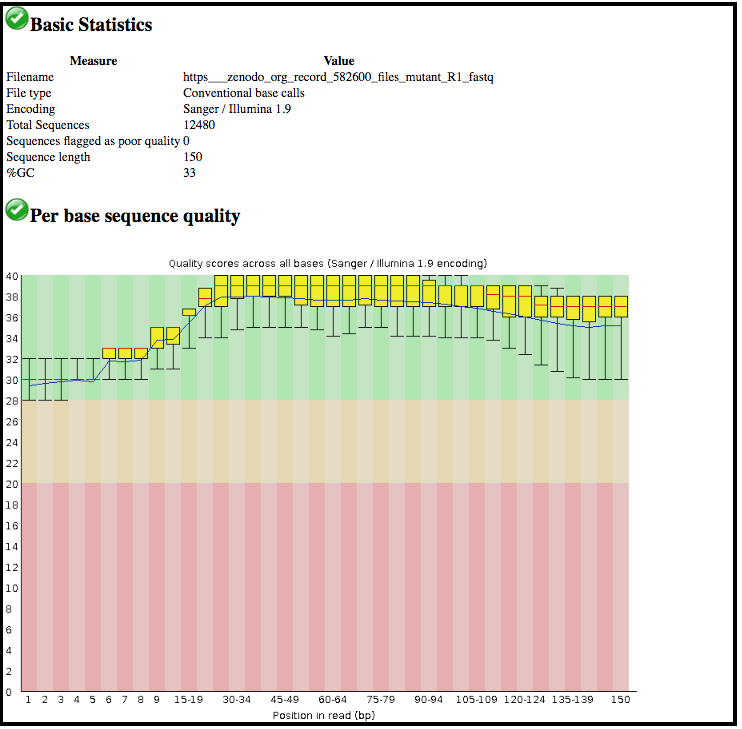 This brings up the tool interface in the central panel with the parameters set to the values used previously to generate this dataset. For example, you might decide you want 80 percent of bases to have a quality of 36 or higher, instead of 35. You can re-run a tool many times with different settings. 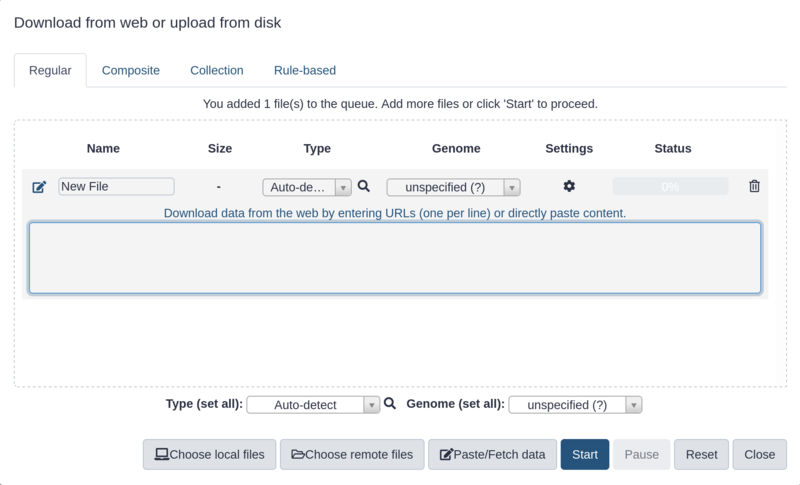 Each time you re-run the tool, the new output file will appear at the top of your current history. Where is your first history, called “my-analysis”? A new page will appear with all your histories displayed here. 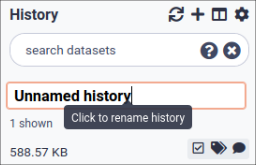 This makes a copy of the dataset in the new history (without actually using additional disk space). 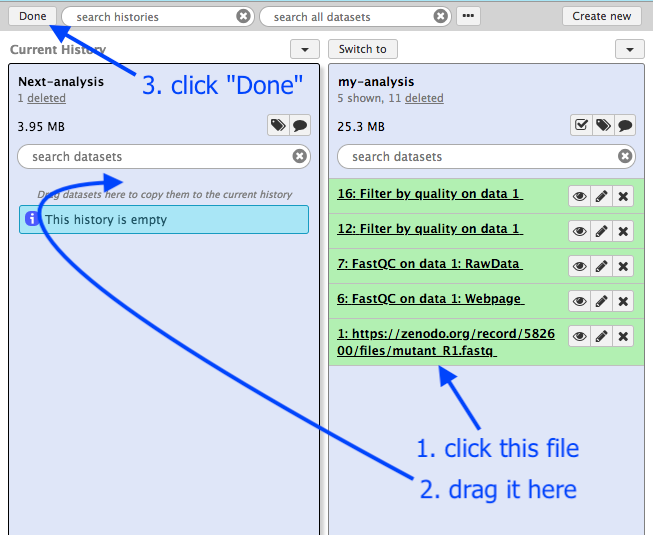 Your main Galaxy window will now show the current history as “Next-analysis”, and it will have one dataset in it. At any time, you can go back into the “View all histories” page and “Switch to” a different history. trophy Well done! You have completed the short introduction to Galaxy, where you named the history, uploaded a file, used a tool, and viewed results. 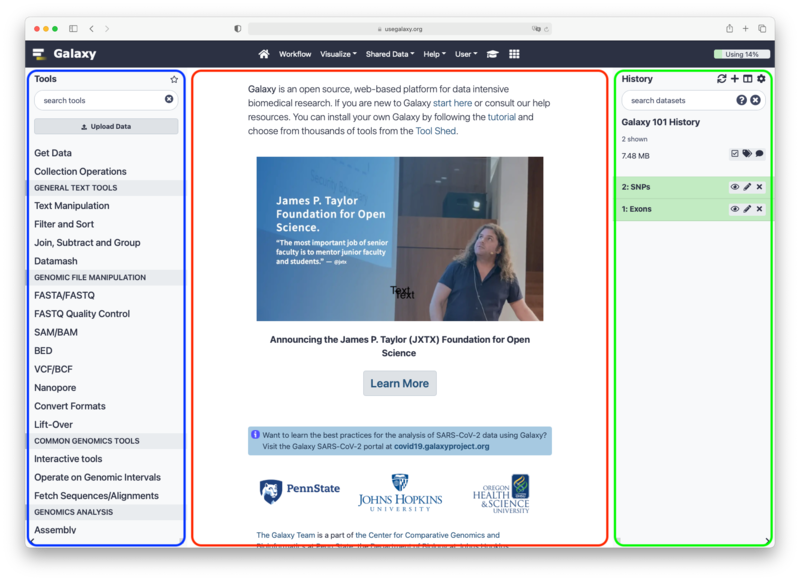 Additional tutorials are available for a more in-depth introduction to Galaxy’s features. This material is the result of a collaborative work. Thanks to the Galaxy Training Network and all the contributors ( Anna Syme)!